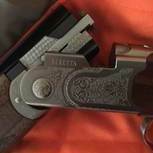 In NZ I'm allowed to use lead loads this duck season (starts May 4) in my 28 gauge then the sub gauge exemption expires. Our major retailer has finally brought in some 24 gram 20 gauge steel shot shells for this coming season which is a first. I would like to ask them if they would be prepared to bring in some 28 gauge non toxic shells suitable for ducks up to 30 metres distance - preferably tungsten or bismuth rather than steel. 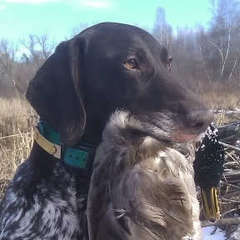 Cost isn't an issue for me as I only fire a maximum of 40 or 50 shots for the opening day ( bag limit 25 ). My question is - if you had to select only one 28 gauge nontoxic shell for ducks which one would it be (from what is available in the US) ? Get some bismuth and roll your own. There have only been two 28s (not counting the one a fellow brought thinking it was the 12ga he had shells for) through my commercial duck blinds: both for September teal and, I think, both shooting someone's factory Bismuth. One was an O/U that's man did pretty well with it and the other a Beretta A400 that's very big man plainly found it too light, literally and figuratively. In those years, our September teal limit was just 4, and I shudder to think what it would have cost the later of those two (who then owned our area's nicest SC range) to kill 25.
man 40-50 shells is a SEASON here! Thanks for the replies. 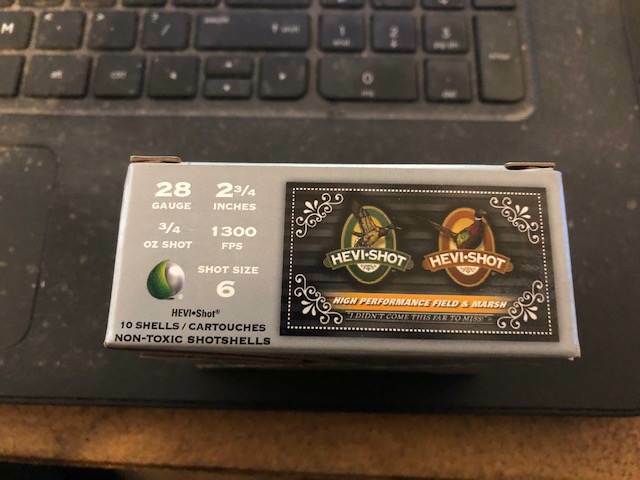 Sounds like HeviShot is the ticket and I said cost wasn't a problem - but I've just looked up and they're close to $4.5 US per shot ( $8 NZ plus extra for transport and markup) - might have to go for your suggestion CJL and go for Hevi X - density half between lead and steel and a more affordable $1.65 US. be careful with that brand. they are known to play games with their marketing.